Our attorneys have handled some of the leading cases in New York involving cellular service and the Federal Telecommunications Act. In a case of first impression that went before New York's highest court, we successfully argued that a private restrictive covenant limiting use of a property to single family residence prevented the erection of a 120-foot cellular tower. For a more detailed discussion about this case see "Chambers v. Old Stone Hill: Court of Appeals rejects public policy argument and declines to extinguish private contractual rights," which was co-authored by the firm's partners. This firm currently represents Distributed Antenna Systems (DAS) providers. 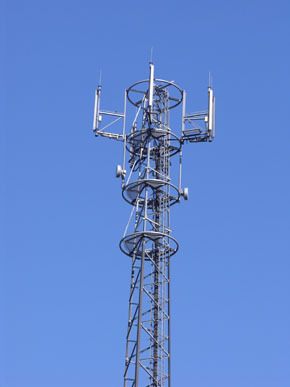 Instead of the conventional cellular tower, the DAS technology relies upon existing infrastructure - a small antenna and repeater are attached to existing street light poles/utility poles and then connected through a system of fiber optic cables to a base station where FCC-licensed providers will house their equipment. In addition, up to eight (8) wireless telephone service providers can use the one antenna and repeater system installed on the light poles/utility poles - there does not have to be a separate antenna for each carrier as required in a conventional installation. We assist our clients in negotiating the often complex municipal approval process, which can be very different depending upon the community. We have experience working with communities throughout New York and Connecticut ranging from local governments to State entities like the Connecticut Siting Council.